Henry, a friendly senior beagle, was welcomed to Our Companions’ sanctuary after having been rescued from an unsafe situation. When a sanctuary staffer saw Henry bump into an object in the middle of the room, she realized that he was losing his vision. After a visit to a veterinarian ophthalmologist, he was diagnosed with SARDS (Sudden Acquired Retinal Degeneration Syndrome), a disease that causes rapid and complete blindness in dogs. Despite having lost his vision, Henry was able to navigate the sanctuary grounds quite well, going for walks with volunteers and sunbathing in the backyard. Whenever he was in unfamiliar territory, Henry wore a special "Halo vest" that prevented him from bumping his head into objects and potentially injuring himself. 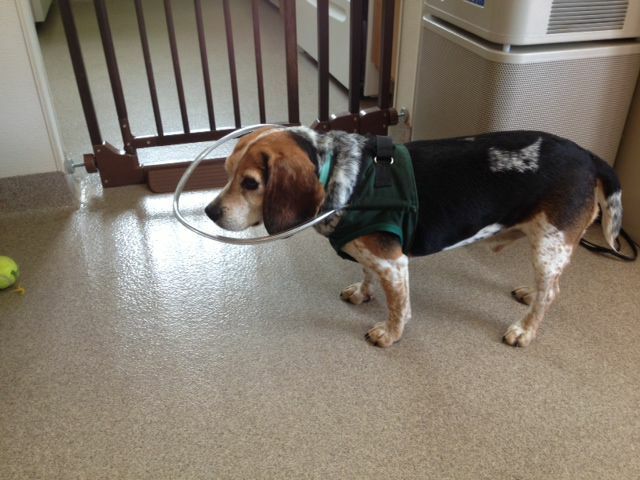 Henry wears a special "Halo vest" that prevents him from injury when exploring new territory. Indeed, Forbes notes that in Henry’s case, no accommodations were needed in order for him to live an independent and normal life. Today, Henry uses his nose to guide him, navigates well on his own, and can climb up and down stairs. For the first six months, he wore a leash outdoors, but now knows the yard so well now that the leash is no longer necessary. “He’s a normal dog. When people come over, he'll look up at them," says Forbes. "They pet him and are in disbelief that he's blind." Mason is a sweet tiger cat whose peaceful personality belies his previous hardships. Astonishingly, he spent his first three years on his own, living outdoors with only his front legs. Mason was born with a hind limb deformity and does not have back legs. When he first arrived at the sanctuary, he was frightened and injured from dragging his back stumps outside and being attacked by other cats. Some simple modifications to Mason’s room at the sanctuary increased his mobility and made a world of difference for him. Our Companions staff covered the floor with soft bedding and created a series of steps so that he could easily get into and out of his litter box. A carpeted ramp was placed in the corner of Mason’s room to allow him to move freely from the floor onto the futon and windowsill. “Having the independence to move about his entire space has meant everything to him. It has made a huge difference in his attitude and happiness,” notes CEO Susan Linker. Also contributing to Mason's happiness was the arrival of Snookey, a shy two-year-old female cat. 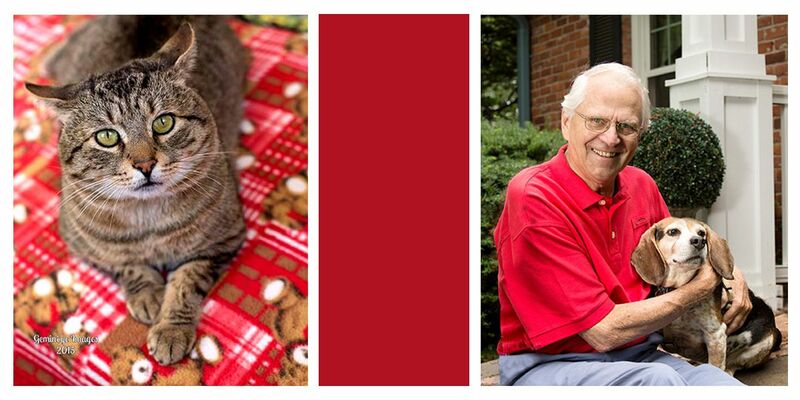 After a few months of socialization and healing, Mason and his new best friend and roommate, Snookey, were adopted into their new loving home. 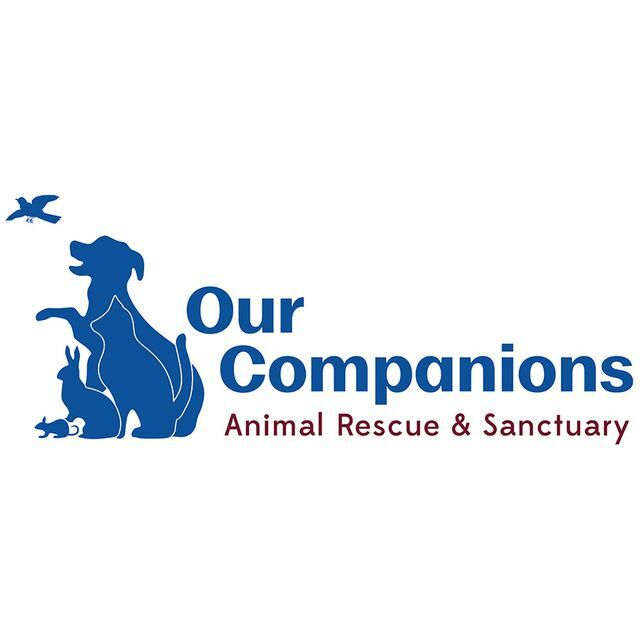 Our Companions Animal Rescue provides a homelike sanctuary for dogs and cats with special needs and is committed to finding them new, loving homes.